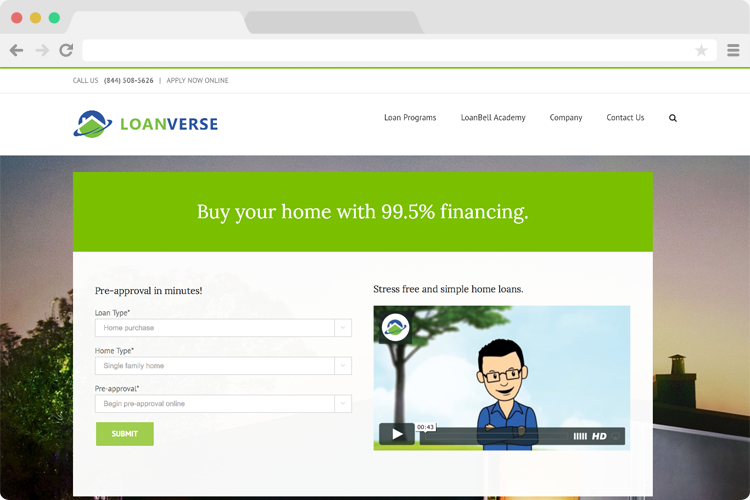 Loanverse is a leading mortgage and home loan company based in California, dedicated to providing clients with exceptional service and home loan planning advice. It is their goal to shake up the $2 billion mortgage industry by making the mortgage process quick and easy. They are paving the way by creating new tech to bring the mortgage industry into the modern world – making it faster, simpler, and more personalized. They work with several lenders to get customers the lowest rates in the shortest amount of time.